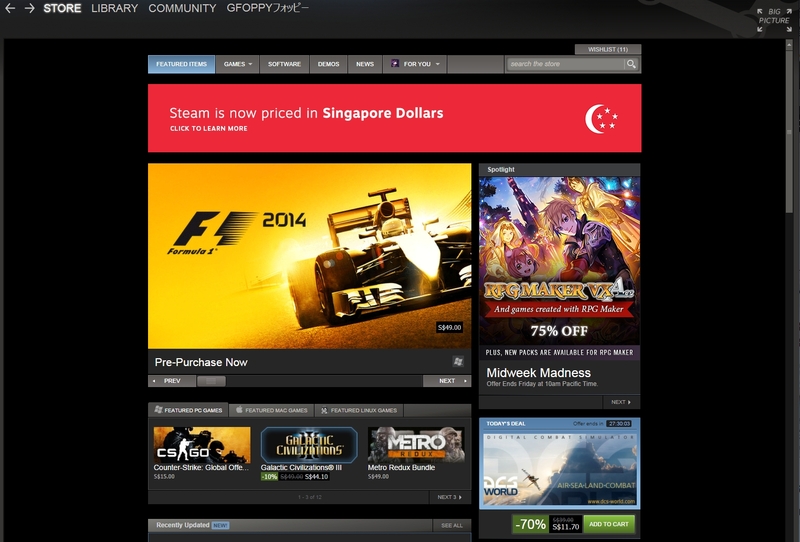 If you logged in to your Steam account today, you might have noticed the conspicuous banner at the top of the Store page saying: “Steam is now priced in Singapore dollars.” This means that most games on the Steam store will now be cheaper than if they were purchased using US dollars. I say “most”, because the prices for new releases are slightly more expensive compared to their PC retail counterparts. For example, upcoming titles such as The Evil Within and Borderlands: The Pre-Sequel! are now priced at SG$55, way cheaper than their original US pricing of US$59.99 (S$76). But if you know where to shop in Singapore, it’s possible to find new PC retail games selling at around the S$50 margin, which is still slightly cheaper than Steam’s pricing for new games. The biggest benefit of the Singapore pricing will be for non-retail games that can only be purchased digitally, especially for cheaper Indie titles. Also, this means that the discounts you get during Steam sales will be of much better value. Better start saving up some cash now, the Steam Christmas sale is usually scheduled for mid-December. 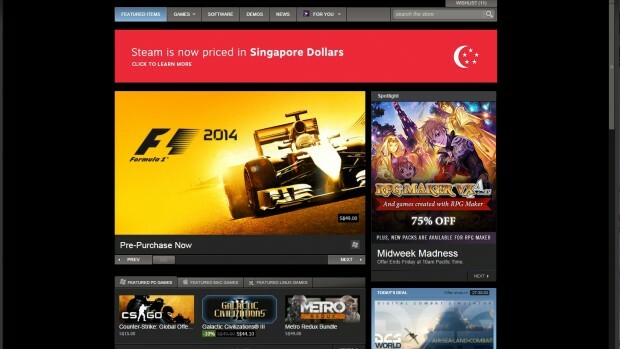 And for those with US bucks stashed in their Steam wallet, don’t panic: it has automatically been converted to Singapore dollars using the current market rate. For more information about the switch to Singapore currency for Singapore users, be sure to check out the official FAQ by eClub.